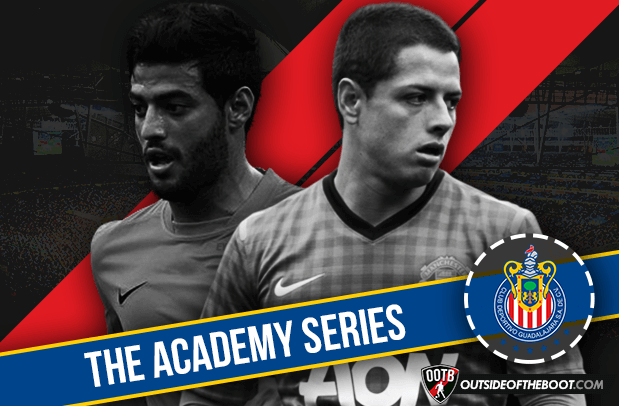 This part of this series turns the focus to Chivas Guadalajara, Mexico’s primary youth academy. Club Deportivo Guadalajara or Chivas (Goats) are one of the most successful clubs in Mexican football, with 11 Liga MX titles to their name. This success has come despite the club having a strict Mexican-only policy, which doesn’t include naturalised players, when it comes to the playing staff, the only team in Mexico to have such a policy. As a result of Chivas only playing Mexicans, developing players through their cantera (youth academy) is particularly crucial to the side’s success. Therefore, Chivas are dedicated to bringing players through their academy, leading to some of Mexico’s best players starting their careers at Chivas, with a few of these players going on to have success in Europe. But with Guadalajara not winning a Liga MX title since 2006 and getting sucked into a relegation battle in recent years, some suggest that the days of being able to have success without foreign players is over. There are positive signs though, Chivas recently won Copa MX (seen as far inferior to the league) and have a good crop of young players currently in the squad. If they stay at the club and develop well, a 12th Liga MX title may not be too far around the corner. Bravo isn’t the greatest player to ever come out of Chivas’ youth system, but due to his legendary status at the club and recent performances, he’s the first that comes to mind. 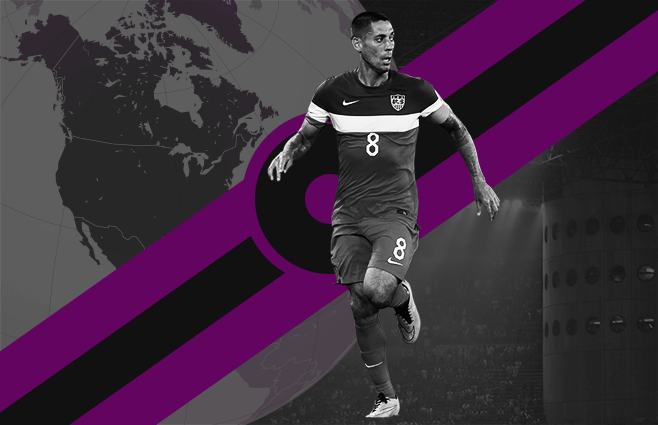 The intelligent forward has spent most of his career with Chivas, although he did have a short, unsuccessful spell in Spain with Deportivo La Coruna as well as spending a year in the MLS at Sporting Kansas City. Now at his 4th spell with Guadalajara, Bravo became the club’s all-time record goal scorer earlier this season, and now has 131 goals to his name. Despite being 35 years-old, Omar, who captains Chivas, is arguably playing as well as he has at any other time in his career, using his superb poaching instincts to score 10 goals in Liga MX this season, making him one of the top scorers in the league. The Mexican has also represented his national team 65 times, scoring 15 goals in the process. Javier Hernández, or Chicharito as he’s more commonly known, is another fantastic poacher to come out of Chivas’ cantera. 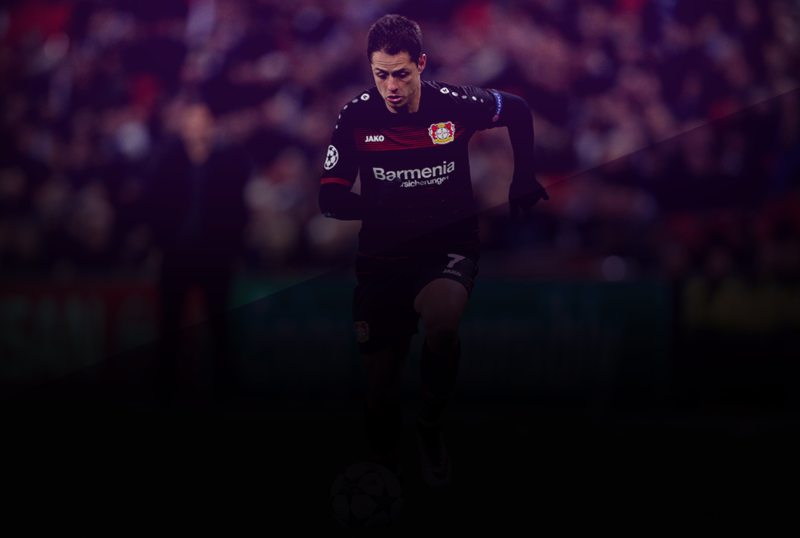 But unlike Omar Bravo, Chicharito has had plenty of success in Europe. After scoring 21 goals in 28 Liga MX games for Chivas in the 09/10 season, Hernández got his big move to Europe with Manchester United. Chicharito became a big hit in Manchester, scoring 50 times in his first three years at United and helping the The Red Devils to Premier League titles in the 10/11 and 12/13 seasons. However, he fell out of favour under David Moyes and Louis Van Gaal, with the latter sending him out on loan to Real Madrid for a season, where he started only 12 games. The little pea, named because his father was known as pea due to his green eyes, has since been sold to Bayer Leverkusen. With 10 goals in all competitions so far, he’s made a very good start to life in Germany, and his popularity has made him one of the Bundesliga’s biggest stars. Chicharito is also closing in on Jared Borghetti’s Mexico goal scoring record, with 42 goals in 76 international games, just four behind Borghetti. Criticised by many for not reaching his full potential and not performing on a consistent basis, Marco Fabián is one of the most talented Mexican players around today. 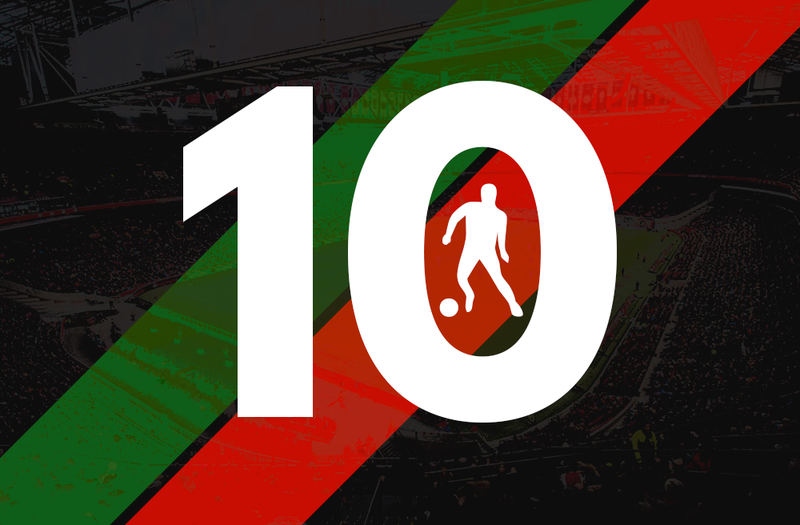 Favouring an attacking midfield role, Fabián, with fantastic dribbling and passing attributes, is one of Liga MX’s best playmakers, and is well known for having an ability to score golazos. 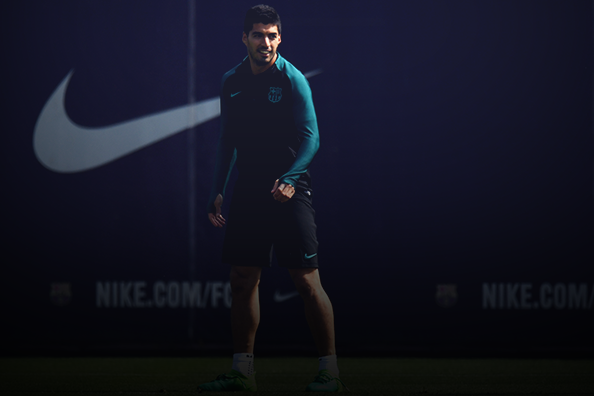 His most famous goal came in a friendly against Barcelona, when he scored a stunning overhead kick, or chilena as they say in Mexico. Despite often being linked with moves to Europe, he’s spent his whole career in Mexico, staying with Chivas except for a season long loan spell at Cruz Azul in 2014. Fabián has also been capped 25 times for El Tri, with arguably his finest moment coming for Mexico’s under 23 side at the London Olympics when he was a crucial part of the gold medal winning side. He also impressed greatly during Mexico’s 2012 Toulon tournament victory, a warm up to the Olympics, scoring seven goals in just five games. Considering Fabián’s age, 26, a move to Europe, which seemed inevitable earlier in his career, is unlikely, but he continues to entertain and perform in Mexico. Mexico’s 6th most capped player with 124 appearances despite not making his international debut until he was 24, the versatile Carlos Salcido has had a distinguished career. Playing primarily at left-back or centre-back, Salcido was a big hit with PSV after moving there from Chivas following the 2006 World Cup, becoming a first-team regular for four seasons. He was also named vice-captain at the Dutch club after just one season in Eindhoven and became the first Mexican to ever with the Eredivisie. A disappointing year in England with Fulham, which was affected by his home being burgled, followed after the 2010 World Cup, before he returned to Mexico with Tigres. Now 35, the ambidextrous Salcido is back with Chivas, where he’s a first-team regular, normally playing in a defensive midfield role, although he does sometimes play at centre-back. Nicknamed Maza after his birthplace of Mazatlán in Sinaloa, Rodríguez is another Chivas youth product to have made over 100 appearances for El Tri. Maza spent six years with Chivas after making his debut, during which he played a major role in helping the Guadalajara side win their eleventh league championship in 2006. The towering centre-back then enjoyed a spell in Europe, first playing alongside Carlos Salcido at PSV, before moving south to Stuttgart for a season and a half. Since moving back to Mexico, Maza spent time with Chivas’ biggest rivals, Club América, helping them win Liga MX in 2013, before moving to Mexico City rivals Cruz Azul, where he continues to prove himself as one of the league’s best defenders, although he’s spent much of this season out injured. Rodríguez is also still a key member of the Mexico squad, despite being 34, and played in the Gold Cup final this summer, which Mexico won. Alberto Medina played 323 Liga MX games during his 12 years with Chivas Guadalajara, using his pace, dribbling and crossing ability to score 51 and set up 39 for Guadalajara. Known as El Venado (The Deer), Medina’s best spell as a footballer came in 2006. In the 2006 Apertura, Medina scored six goals in eighteen as Chivas won the tournament, the last Mexican league title that they’ve won. El Venado also had success with Mexico, scoring 6 in 56 and winning the 2009 CONCACAF Gold Cup in the process. Unfortunately, as Medina’s moved into his 30’s his performances have greatly dropped off. After leaving Chivas in 2012, Alberto’s spent time at other Liga MX sides with Pachuca, Puebla and Chiapas, and is now playing for Alebrijes de Oaxaca in the Ascenso MX, Mexico’s second division. Goalkeeper Alfredo Talavera made just 21 Liga MX appearances in a six year spell in Guadalajara, following his debut in 2003. Tala, as he’s commonly known, never fully broke into the first team and only received playing time when injuries were suffered by Oswaldo Sánchez and Luis Michel. Although originally signed as a backup, Talavera’s 2009 move to Toluca proved to be a superb career choice. With first-choice keeper Hernán Cristante out injured, Tala got in the first-team and, after impressing, has stayed there ever since, making 228 league appearances for Toluca to date. With many regarding Alfredo as the best Mexican keeper in Liga MX right now, and Guillermo Ochoa receiving very little playing time with Málaga, Talavera has played quite regularly for Mexico in recent years and could be first choice going into the 2018 World Cup qualifiers. Pacey playmaker Chavez played for many clubs across Mexico, but is best known for his times with Chivas and Monterrey. Well known for his commitment, Chavez won the Mexican league with both Chivas and Monterrey, in 1997 and 2003 respectively. Born in Guadalajara, Tilon also played a big part in Necaxa’s promotion from the Liga de Ascenso in 2009 during the latter part of his career. 30 Mexican caps were earned by Chavez between 1997 and 2000, helping Mexico to third place finishes at the 1997 and 1999 Copa America championships. However, he didn’t make the 1998 World Cup squad. Attacking midfielder de la Torre was one of the best players in Liga MX during the second half of the 80s and first half of the 90s. Chepo stayed in Guadalajara for four years after making his debut in 1984, winning the league in the 1986. After moving to Spain with Real Oviedo, de la Torre returned to Mexico to play for Puebla, Cruz Azul, Chivas for a second time, Puebla and Necaxa before retiring in 1999. Chepo received 28 Mexico caps but unfortunately, like Paulo Chavez, never made a World Cup squad. Post-retirement, de la Torre’s moved into management, where he’s had plenty of success. 3 Liga MX titles have been won during his years in management, one with Chivas and two with Toluca, whilst he also lead Mexico to victory in the CONCACAF Gold Cup in 2011. But once again Chepo didn’t make it to the World Cup, sacked in 2013 as Mexico struggled in their qualification campaign. Chepo was brought back to Chivas in order to save them from relegation, which he did comfortably, but he’s since been controversially sacked following a poor start to this season. Carlos Vela never made an appearance for Chivas, as he joined Arsenal when he was just 16 years old, but is a must on this list due to his ability. One of Mexico’s most talented players in recent years, Vela’s been very successful with Real Sociedad in Spain, scoring 59 and assisting 34 during his 165 games with the Basque club after failing to make it at Arsenal. Performances have dropped off recently though, partly due to the team’s struggles under David Moyes, and Vela will be hoping for a turnaround in fortunes when La Real bring in a new manager. Despite his talent, Vela’s a rather controversial figure in Mexico. After receiving a six month national team ban from the Mexican Football Federation for partying in Monterrey after a game with Colombia, the winger/forward refused multiple El Tri call-ups. His return to the Mexican national team came in November 2014, and he’s been a regular in the side ever since, despite often not playing to his full potential. 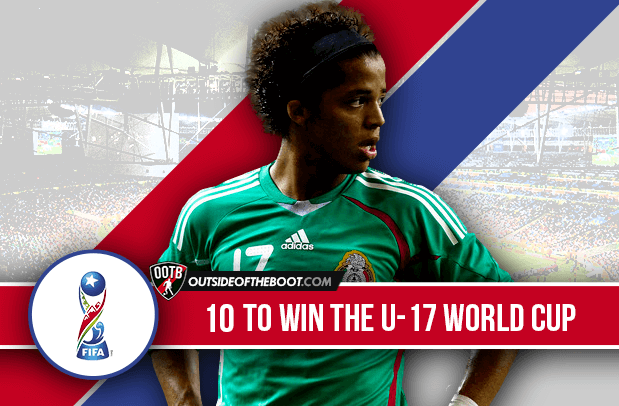 Carlos Fierro has long been considered one of the brightest talents in Mexico, after winning the bronze ball at the 2011 U-17 World Cup, but, despite being an important member of the Chivas squad for a few years, has failed to nail down a starting place. Normally playing as a winger these days, I believe he needs to play as a striker in order to fulfil his potential as he has the attributes to become a good poacher, if he improves his finishing. Fierro’s recently lost his place in the team to winger Avion Ramírez. After impressing from the bench last season, the 19 year old has become a regular on the left of an attacking midfield three, causing problems for Liga MX defenders with his pace and dribbling abilities. Carlos Cisneros, a 22 year old winger, and Ángel Zaldívar, a 21 year old striker, have both received a fair amount playing time this season as well. There are also a couple of very good defenders coming through at Chivas. Signed back from Real Salt Lake in January after originally coming through in Guadalajara, Carlos Salcedo has been one of the best centre-backs in Liga MX recently despite being just 22, receiving four Mexico caps as a result. Also 22, Raúl Dedos López has been a revelation since being moved from a right-winger to a right-back. With his powerful running, strength and crossing ability, López was a huge part of Chivas’ survival last season, and has just been called up to the Mexico squad for the first time. Looking further into the future, two Chivas youth academy members, Kevin Magana and Diego Cortés, scored in Mexico’s recent 4-2 defeat to Nigeria in the U-17 World Cup. The goal from Cortés was Maradona-esque, beating multiple Nigeria players before scoring. The Under-17 level can be very misleading, but some players do go on to make the grade, and these players may develop well and break into the Chivas side in the future.